Dr. Godino is a member of the American Academy of Cosmetic Dentistry, the American Academy of Dental Sleep Medicine, the American Dental Association, the California Dental Association and the Orange County Dental Association as well as the Dana Point Chamber of Commerce. He is also a graduate of the prestigious Las Vegas Institute of Advanced Dental Studies in Las Vegas, Nevada , Spear Education Center in Scottsdale, Arizona and Occlusion Connections Center of GNeuromuscular Dentistry and Orthopedic Occlusal Advancement in Las Vegas, Nevada. 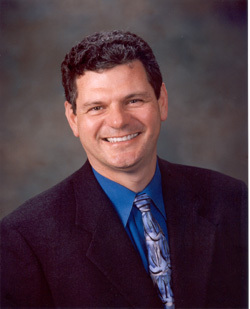 Dr. Godino spends many hours continually updating and advancing his outstanding dental skills. Dr. Godino resides in San Clemente with Angela, his lovely wife of 37 years. They have 2 children, Michael and Danielle. . Michael received his undergraduate degree from the University of Notre Dame and his Law degree from the UCLA School of Law. He currently is practicing as a Healthcare Litigator for Manatt Phelps & Phillips in West Los Angeles. Danielle received her Bachelor of Science in Nursing from Villanova University in Pennsylvania and her Masters in Family Nurse Practitioner from UCI. She currently works in Urgent Care in Costa Mesa. Dr. & Mrs. Godino are active parishioners in the St. Edwards Parish community here in Dana Point where Dr. Godino serves as a Eucharistic Minister and is very active in the Cursillo Movement. Dr. G mostly enjoys spending time with his family, high tech gadgetry, photography and travel. His other passion includes rooting for the Fighting Irish of Notre Dame, the Wildcats of Villanova and the Bruins of UCLA.